Too often our air forces are over-identified with “things”—airplanes, mission sets, or various technologies. This misses the key reason why our nations have independent air forces. It is not about tools—it is about the unique way in which independent air force Airmen provide our respective nation’s leaders with effective, efficient policy options that are only available through the exploitation of air, space, and cyberspace domains. Using an “air-minded” approach the men and women of our air forces focus precise power to attain desired goals while simultaneously avoiding unnecessary projection of liability and vulnerability. Routinely this translates into empowering policy goals through creating regional security and stability, deterring potential aggressors, and reassuring allies. This could take the form of air-lifters delivering relief supplies, a fighter squadron deploying abroad to help cultivate allied partnership capacity, or long-range ISR and strike aircraft conducting exercises abroad to demonstrate capability and commitment. As soon as military force is required, this means presenting leaders with a set of options to net desired results by projecting power without the same degree of vulnerability as surface forces. These missions include securing and maintaining aerospace superiority; strike; intelligence, surveillance, and reconnaissance; mobility; command and control; and their associated sub-elements. These are all capabilities essential to our nation’s leaders, combatant commanders, and allied partners. In an era of resource austerity, these are precisely the type of capabilities that our nations should invest to achieve the greatest cost-benefit—accomplishing national and coalition objectives effectively and efficiently, with optimal desired effects. From 24 to 27 March 2015, the United States Air Force (USAF), Royal Air Force (RAF) and French Air Force (FAF) joined together for a four-day series of meetings to examine airpower issues of mutual concern—specifically, how to better advocate and articulate the virtues of aerospace power. The collective objective: three air forces capable of rapid, cohesive, and effective coalition operations across the full spectrum of conflict. Senior officers from each of the Air Forces—to include the current USAF Chief of Staff, two former Chiefs of Staff, and NATO’s Supreme Allied Commander Transformation, himself a former FAF Chief—came together to collaborate, cooperate, and learn. While we may hail from different parts of the world, we stand united in offering our respective nations leadership the attributes attainable only through the exploitation of the advantages provided by operations in air, space, and cyberspace. It goes without saying that we have a complex series of security challenges facing us today. The proliferation of technology and associated empowerment of nation-states, non-nation state organizations, as well as individuals, presents some of the most daunting challenges our militaries have ever faced. We’re not going to buy our way out of these challenges—the money isn’t there—nor are there any silver bullet solutions. We’re not going to blast our way out of these problems with overwhelming force, as we no longer have the force structure we enjoyed in the past. We’re going to have to think our way out of these problems—and to succeed we need to exploit one of our greatest asymmetric advantages—the brains of our airmen. As airmen, we embrace the ability to rise above the constraints of terrain, literally, and to transcend the strictures of the horizontal perspective. Airpower is based on the characteristics of technology—but the invention, development, and application of these instruments flow from human imagination and knowledge. Our air forces seize on the virtues of air and space to project power without projecting the same degree of vulnerability as surface forces, and as a result, they can provide our nations—and coalitions that we bring together— with strategic alternatives simply not available any other way. However, to do so we need to create a culture and environment that encourages disruptive thinking instead of discouraging it. Folks, we’re not going to meet the budget challenges of the future by simply buying less of what we already have—we need to embrace and invest in innovation, creativity, and change. One way to do that is to change our military culture to one that embraces the advantages of operating in the third dimension as a primary means of securing our objectives, not simply one of supporting another medium of operations. Aerospace options influence, deter, and dissuade so we can attain fundamental interests minimizing the need for combat operations. When combat is necessary, aerospace capabilities yield a variety of strategic, operational, and tactical effects that provide disproportionate advantages. Our nations have other services that possess air arms. Those air arms exist to facilitate their parent services’ core functions—their mastery of operations on the ground, at sea, or in a littoral environment. However, our nations have only one Air Force, whose sole reason for being is to fully exploit the advantages of operating in the third dimension of air and space to directly achieve our nations’ and coalitions’ security objectives. Airmindedness is the perspective that seeks how to best apply airpower to meet our nations’ objectives. It also encompasses how to effectively articulate those capabilities so they’re incorporated in our military as alternatives of choice. This approach is also integral to jointness. Jointness means that among our separates services, a specialized array of capabilities is provided through service or functional components to a joint or combined force commander whose job it is to assemble a plan from this “menu” of capabilities, applying the most appropriate ones for the contingency at hand. It does not mean separate services deploy to a fight and simply align under a single commander. Nor does jointness mean everybody necessarily gets an equal share of the action. Jointness is not homogeneity—it is not “going along to get along.” It’s not complying with the majority view because that’s viewed as being collegial. It is recognizing that to be joint we require separate services, and that it’s an imperative that service members understand how to best exploit the advantages of operating in their respective domains. However, when a single service attempts to achieve war-fighting independence instead of embracing interdependence, jointness unravels, war-fighting effectiveness is reduced, viable alternatives are ignored, and costly redundancies abound. Just to be sure you understand the state of affairs in this regard, there was a paucity of real joint organization in Iraq, or Afghanistan. More often than not a “J” was put in front of an Army organization and that was it… there was a Multi National CORPS Iraq, but no Combined/Joint Task Force IRAQ. In Afghanistan there was an International Security Assistance Force and U.S. Forces Afghanistan, but there were no service components within those organizational constructs. 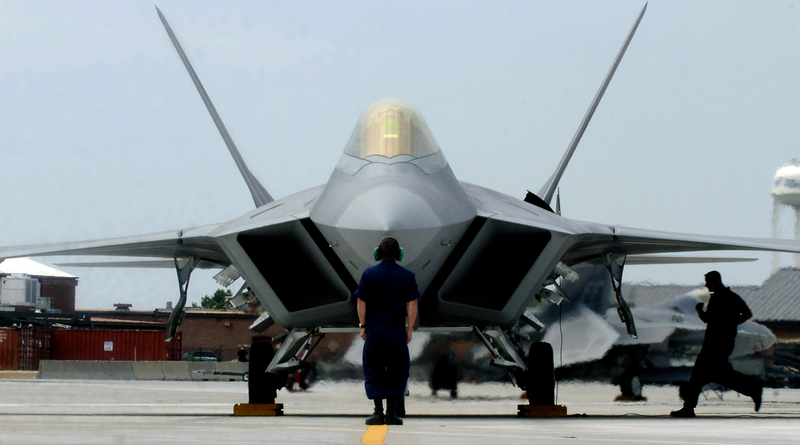 As a service, the United States Air Force went for nearly four years (2006 to 2010) with not one Air Force officer in any of the top eleven positions in the Pentagon—four years! The Chairman, the Vice Chairman, the Director of the Joint Staff, nor the J1, 2, 3, 4, 5, 6, 7, or 8… Fortunately, that situation is changing today, but it still requires constant attention. The family of U.S. joint doctrine publications has a volume on Joint Bulk Petroleum and Water Doctrine, but none on strategic attack, because of concern that it would be “too Air Force centric.” Yet, there is U.S. joint doctrine on Amphibious Operations. These are but a few examples of symptoms that are a result of a lack of Airmindedness over the last decade, and a lack of proper understanding of jointness. If we’re going to meet the challenges of the future, that needs to change. Our respective security establishments need a proper understanding of “why” independent air forces are required, a proper grasp of jointness, and a sense of Airmindedness that all air force members from our collective nations embrace as a foundation of their being. This forum is an effort to increase the exchange of ideas and bring to the attention of airmen around the world issues and topics that matter, and to inculcate a renewed sense of Airmindedness that will allow our nations to best exploit the advantages of air, space, and cyberspace in meeting our individual and collective security challenges. Welcome, and don’t be bashful in offering your perspectives! Lt Gen David A. Deptula, USAF (Retired), is currently the Dean of the Billy Mitchell Institute for Aerospace Studies.